“As extensive embassy reporting has discussed, the political, economic, military and security environment in Sri Lanka has undergone dramatic changes since the 5 december 2001 parliamentary elections which brought a new government to power. The GSL and Tamil Tigers (LTTE) have signed a ceasefire Memorandum of Understanding as a prelude to talks (o/a may 27) aimed at ending nearly two decades of brutal civil war. Feelings of optimism and hope have swept over this troubled island. The fighting has stopped, and the many and onerous security procedures that affected every day life have dissipated: long closed roads have reopened; police and military checkpoints have shut down; and draconian restrictions on fishing and other maritime activities have begun to disappear.” the US Embassy Colombo informed Washington. The Colombo Telegraph found the related leaked cable from the WikiLeaks database. The cable discusses Sri Lankan Navy’s strengths and weaknesses. The “Confidential” cable written on February 05, 2003 and signed by the US Ambassador to Colombo E. Ashley Wills. The ambassador wrote; As our reporting also has stressed, however, the GLS wants to enter this delicate period with ‘a warm heart, but a cool head.’ the GSL’s foe is one of the world’s most ruthless and sophisticated terrorist organizations. As our public statements and other information have made clear, we continue to see ltte efforts at resupply and other activities that seem to indicate, at a minimum, a lack of total reliance on peace talks as a means to resolve the dispute that has torn apart Sri Lanka. “Providing the Sri Lanka navy with vessels of the medium endurance cutter class size supports embassy Colombo’s MPP. Regional security and counter-terrorism are two fundamental areas of the mission’s plan for Sri Lanka. 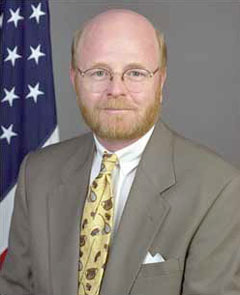 By improving the navy’s ability to interdict LTTE supplies, the USG will help to bring this terrorist organization to heel.” the ambassador said. A 210′ EDA CUTTER TO THE SL NAVY. AT ENDING NEARLY TWO DECADES OF BRUTAL CIVIL WAR. ACTIVITIES HAVE BEGUN TO DISAPPEAR. COPY-CAT IN THEIR ATTACKS AGAINST THE US. SIZED, OFFSHORE PATROL VESSEL (OPV) OF INDIAN-ORIGIN. AND COAST GUARD AS WELL AS OTHER ALLIED FLEETS. AND THE PALK STRAITS. THIS IS FOR TWO MAJOR REASONS. KINGDOM TO THE ISLAND NATION. TO MEET INTERNATIONAL MONETARY FUND TARGETS. LITTORAL FORCE BASED ON OPVS AND POSSIBLY CORVETTES/CUTTERS. SRI LANKA CAN AFFORD TO MAINTAIN THE VESSEL. BRING THIS TERRORIST ORGANIZATION TO HEEL. INCIDENTS IN THE LAST THREE YEARS. SEEKS INCREASINGLY CLOSE US-SL MIL-TO-MIL RELATIONS.